The conclusion of the 2018 World Cup was a stark reminder that the best soccer in the world is played beyond the borders of the United States. Despite the rising popularity of men's and women's professional soccer over the past two decades, and the elevated level of play across the country (this year's World Cup not withstanding), the heart of competitive soccer continues to exist in Europe, South America, and Central America. "European soccer right now is really the model for the world at this point," Woodburn varsity boys soccer coach Leroy Sanchez said. "You're talking about some of the best soccer in the world. That's the crème de la crème." 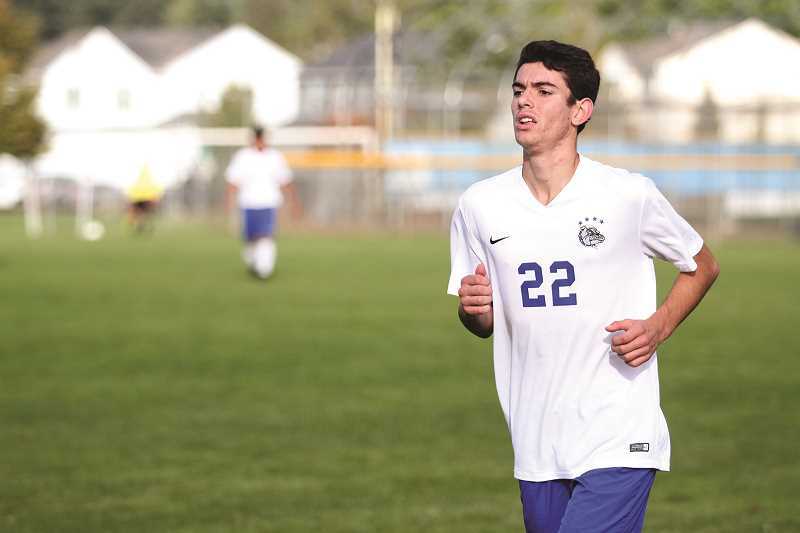 As such, when Woodburn junior Riley Menezes was presented with the opportunity to play in France as part of a traveling club team from Brazil this spring, there was no question that he would go. Even though it meant missing the district track and field championships, this was a rare prospect of competing against elite European academies that was too good to pass up. "That opportunity was provided to me by my cousin," Menezes said. "He's a scout working out of Brazil. He brought a team that has been practicing for months to go to France." Menezes was one of four American players from his Westside Timbers team who were selected to go to Gonfreville, France from May 15-22 to participate in a tournament against teams from Spain, Russia, Scotland and a handful of teams from France. Not only did it give the Woodburn defender a chance to compete against high-level players from around the world, it also helped showcase him to scouts in an effort to gain exposure as he seeks to play for a Division 1 soccer career in college as a catapult to a professional career. "The ultimate goal is MLS," Menezes said. "From MLS, if I can make it to that level, I'm hoping to play in Europe, because they're on a whole other level." Sanchez was excited for one of his core defensive players from the Bulldogs' 2017 5A championship team to get take advantage offer presented to him. 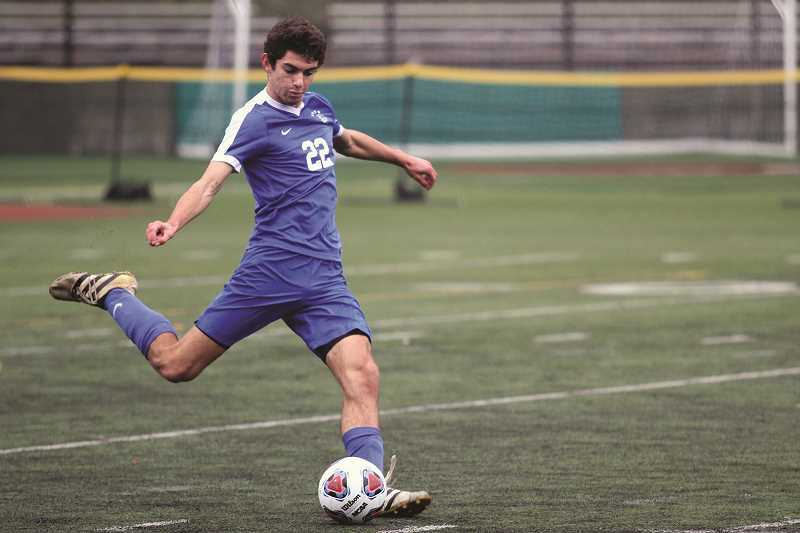 The chance to gain a wider breadth of knowledge of international soccer is a gift that will benefit Menezes' future, and thus the future of the Woodburn soccer program as well. "I think it's good for him," Sanchez said. "It's just a different level than you'd see at the United States level. The different styles of play are good for players. (He's) getting a taste of world soccer." Menezes played at center back, just as he does for the Woodburn varsity team. Every day they weren't play, they were practicing His team arrived four days before the tournament, and despite the 12-plus hour plane flight, and practice was still scheduled the day they arrived. His team ultimately made it to the tournament semifinals before being eliminated, but despite not reaching the championship game, Menezes came away from the event with a great appreciation for the experience as a whole. "European soccer was way different than United States soccer, because their physicality and technicality was on a higher level," Menezes said. For Menezes, the soccer season is never truly over. After returning from France, he finished his sophomore year at Woodburn High School and traveled with family to Brazil for summer vacation, and to get more playing time with his Brazilian team. From there, he'll prepare for the coming fall high school soccer season, where the Bulldogs are preparing for their first season at the 4A level. Although there is an avenue for Woodburn players to feel that a trip to the finals in November all but assured after the program has won 5A titles in five of the past eight seasons, including last year's championship season, Menezes cautions that nothing should be taken for granted. "I've heard talks from kids that it's going to be easy, compared to previous years," Menezes said. "I told them to continue the same intensity, because you never know what's going to happen." Menezes points to last year's playoffs as a perfect example. 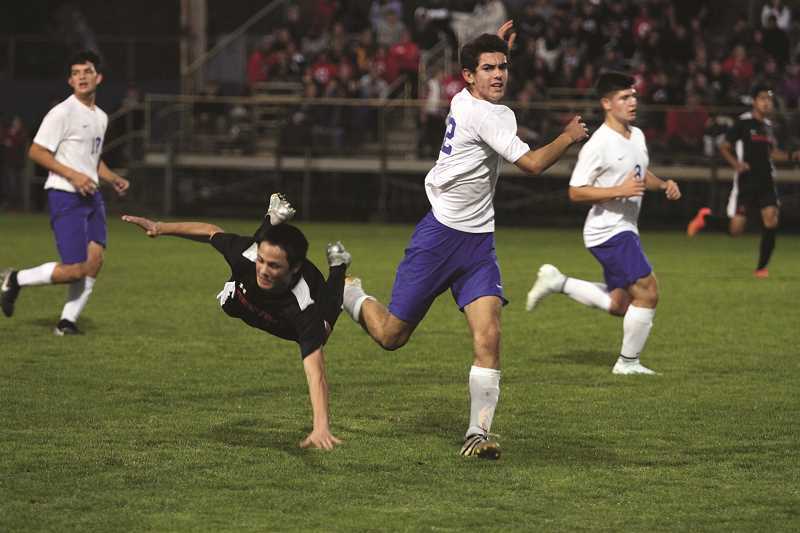 The Bulldogs won two of their four playoff games on penalty kicks, and their semifinal and final victories came due to last-minute goals to stave off defeat. Had one or two plays gone differently, Woodburn could just as easily have been eliminated in any of their final three games. "It's going to be a challenge still and we still have to work hard because there are other teams in 4A that could challenge us or surprise us," Sanchez said. "We have to be ready, no matter what. You have to come ready." The Bulldogs are in a good position heading into this fall. The team only graduated four players from last year's championship squad, and every player who earned All-Conference recognition will be back. Menezes was not among those who was selected to the All-Conference team in 2018, but Sanchez knows that is not an indication of the defender's ability. "He's got speed, he's got vision. He's a complete player," Sanchez said. "He's got such a great touch on the ball — he can practically play any position if he wanted to. Riley is going to be one of, if not the best center back in the state this upcoming season." For Woodburn to win its third straight title, they'll need him to be.